in 1992 From the State of New York. We are a gun store and indoor shooting range that offers a variety of firearms services and training programs. Our business is certified by the state of New York and the NRA™ to provide you with the best training course in the area. If you're looking to get any type of gun license in the Tri-State Area, then our professional services are perfect for you. Along with our gun safety courses and other services, we offer state-certified security guard training for our customers. If you're pursuing a career in armed security services in the area, then our training programs will provide you with everything you need to get started on the right path. Call or visit us today and find out what we can do for you. or to rent out our shooting range. We opened our first pistol range in 1992 after working and training with a gun licensing professional. 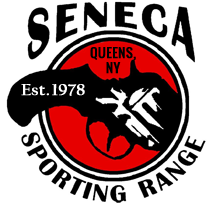 By 2001, we had expanded our shooting range and merged our gun store into a single business in Ridgewood, New York. We've been in this industry for over 30 years, and we offer exceptional customer service and a safe and professional environment for your shooting needs. We pride ourselves on serving our customers with respect and professional expertise and offer an incredible one-on-one experience with our personal training programs. Many of our dedicated customers are armed security guards in the area or people that are aspiring to enter a career in law enforcement or security services.